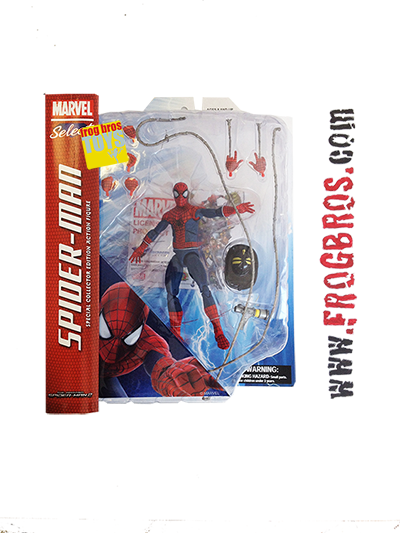 The Amazing Spider-Man is back in an all-new big-screen adventure, and he's also back in the hit Marvel Select line! This 7-inch-scale figure depicts Spidey in his brand-new costume, and features 16 points of articulation as well as a variety of interchangeable parts and accessories. Comes packaged in display-ready Select packaging with spine reference artwork. Designed and sculpted by Gentle Giant!